First in our series on the S.A.F.E. model of SafetyDNA® is the Stays in Control factor, which consists of two main components, perceptions of internal versus external control of one’s personal safety, and controlling one’s emotions in the workplace. Do you have a coworker who seems to always have a reason (other than their actions) for why things happen to them? How about a colleague who finds it difficult to keep their cool when they are overextended or frustrated at work? Personal control is a major predictor of safety incidents, so it is important to understand why people react differently to the things around them at work and what we can do to reduce their exposure to risk. Do you believe that you are in control of, and responsible for, most things that happen in your life? Or do you often attribute these events to luck or fate? Your answer has implications for your safety behaviors on the job, and consequently the odds that you will experience a safety incident. Research in the safety and psychology fields has consistently found that employees who take ownership over their personal safety are significantly less likely to engage in at-risk behaviors and less likely to be injured at work than those who do not. Individuals who internalize their safety control more effectively avoid hazards because they believe that each action they take can reduce their risk, while those who externalize control are less strict with themselves on following safety guidelines because they don’t believe that their actions have much of an impact on their safety outcomes. Furthermore, the latter often incorrectly attribute the cause of safety incidents to outside influences when they may have resulted from their own behaviors. Strategies such as these will help employees feel empowered and more important to the company, which in turn will motivate them to display low-risk safety behaviors because they now have an increased sense of responsibility over theirs and others’ safety performance. We are human and will experience a variety of emotions throughout the day. The point here is not to act completely unemotional or hide your stress from others completely; that can lead to negative outcomes in of itself. Rather, communicating your frustrations in a constructive way can reduce the pressure you feel and reduce your risk in potentially hazardous situations. Managers should pay special attention to this, as they not only must lead by example in their emotional expressions, but can also leverage this effective communication to improve organizational safety culture. Research has demonstrated that emotional control is trainable to some extent, so if management notices that an employee tends to become overly stressed or emotional at work, they can set forth strategies such as taking a short break to calm down when the employee begins to exhibit negative emotional expressions, while working on specific techniques for recognizing and monitoring emotions to improve control. 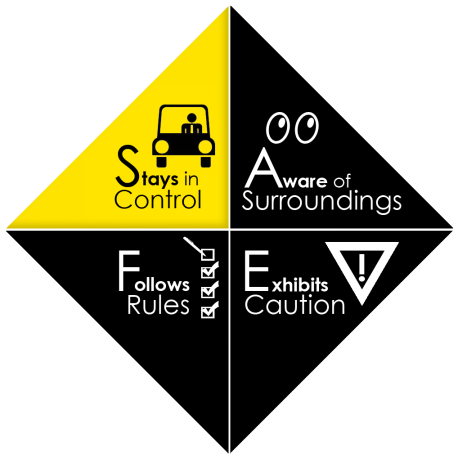 Staying in control at work is critical for both employee safety and overall safety culture. Encouraging your employees to take ownership over their personal safety, and working with those who lose control to more effectively manage their emotions will result in reduced safety incident rates, reduced costs associated with injuries, and overall improved organizational performance.